GSTC works with sustainable tourism training experts from around the world who serve as official GSTC Trainers of the GSTC Sustainable Tourism Training Program. With our global team of trainers, the GSTC delivers Sustainable Tourism Training classes in several languages in addition to English. TrainingAid is an international tourism training company specialized in sustainable tourism. Focusing on practical and accessible skills development opportunities for travel and tourism industry professionals, TrainingAid offers and supports online, live and in-person training options. Working with industry leaders and experts, TrainingAid provides courses on key topic areas including business development, destination marketing and management, and effective tools and solutions for smart and sustainable growth of the tourism sector. GSTC works with partner organizations in various regions around the world that support the GSTC’s mission to increase sustainable tourism knowledge and practice. These training partners work with authorized GSTC trainers to offer the official GSTC STTP curriculum on behalf of the GSTC. Asian Ecotourism Network (AEN) provides more hands-on connections and relevant opportunities for members working together at a regional scale providing more networking and business opportunities, significant information, educational materials and networking prospects to both small and large organizations within Asia. AEN endorses GSTC and its sustainability criteria for sustainability for travel providers, accommodations, destinations, and public authorities in Asia and beyond. The Botswana Tourism Organization is the leading body supporting the efforts to market Botswana’s tourist product, grade and classify tourist accommodation facilities, and promote investment in the tourism sector. With its long-standing commitment to conservation of its land, wildlife and cultural heritage, Botswana enjoys a solid reputation as a progressive sustainable tourism destination and one of the top safari destinations in the world. DASTA is a government agency which is accountable to Prime Minister, aiming to create, develop and prolong sustainable tourism in Thailand. DASTA focuses on developing tourism in designated areas, namely Chang Island and Vicinity, Pattaya City and Vicinity, Historical Parks of Sukhothai, Si Satchanalai and Kamphaengphet, Loei, Nan Old City, and Uthong Ancient City, in three dimensions – economy, society, and environment. Green Evolution, based in Athens, Greece, was created in 2009 by a group of environmental, engineering, financial and legal experts who are specialists in ecology, energy and carbon finance. Green Evolution’s vision is to help create a sustainable and secure future based on integrated environmental services in tourism, assisting public and private sector organizations in their efforts to effectively reduce greenhouse gas emissions and mitigate climate change impact. Green Evolution offers consulting services in Southeast Europe working with several sustainable tourism certification standards and Awards, in Tour Operators, Hotels and Destinations. Green Evolution designs and implements strategies on greenhouse gas management and delivers training for the tourism sector. Infinity (Int’l) Travel Holdings Inc.
Infinity (Int’l) Travel Holdings Inc., known as “Infinity”, engaged in designing, producing and operating in-depth thematic based tour products by implementing its sales and marketing gateways in Greater China Regions and global Chinese markets. Infinity’s subsidiary companies include Infinity Travel Services Limited and the Globe Ecotourism Training Center. With the goal of promoting and implementing a more sustainable tourism practice for global needs, Infinity has built its own product philosophy and corporate Standard Operation Procedures, striving to provide quality travel services and valuable travel experience. 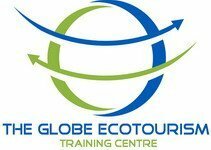 The Globe Ecotourism Training Centre has been formed and established by a group of global ecotourism practitioners and researchers. The Centre aims to promote and implement quality ecotourism trainings and universal sustainable tourism practices, in order to achieve environmental, social and economic benefits while leading tourism stakeholders and travelers to an understanding of the importance of protecting resources through sustainable tourism practices. Hong Kong Ecotourism & Travels Professional Training Centre (ETTC) was established in 2005, to train sufficient eco-guides to meet the needs of Hong Kong’s ecotourism industry. All training courses are planned and provided by an expert team consisting of nearly 40 members who have worked in tourism, diving, biological and cultural conservation for years. More than 5,000 students and eco-guides have been trained by the ETTC over the last decade. ETTC has also trained the first batch of Geopark guides for Hong Kong UNESCO Global Geopark. Most Recommended Geopark Guides (R2G) in Hong Kong are graduated from ETTC. MarkPlus Center for Tourism & Hospitality is a unit business of MarkPlus, Inc., the leading marketing consultant in Indonesia. The Center provides professional services for tourism and hospitality industry players. It was inaugurated on 8th November 2014 by the Minister of Tourism, Republic of Indonesia, Arief Yahya. MarkPlus Center for Tourism and Hospitality is highly committed in formulating relevant business solutions through its consultancy services, comprehensively understanding Indonesia tourism through insightful research, and building the capability of tourism and hospitality human resources using participatory learning approaches. Mt. Huangshan Scenic Area Administrative Committee (HSAC) is founded in 1988, is an organization legislatively ratified by the standing committees of the People’s Congress of Anhui Province and authorized by the Huangshan Municipal Government to conduct the overall management of Mt. Huangshan. Mt. Huangshan is the cradle of the Mt. Huangshan Painting School which is excellent representative of Chinese Landscape Paintings. The pine trees, rock formations, sea of clouds, hot springs, and the snow scenery are popularly known as “the five wonders” of Mt. Huangshan. Its fantastic natural scenery, rich oriental cultures, and high scientific and aesthetic values have won Mt. Huangshan a World Cultural and Natural Heritage Site and it was included in the World Geopark Network. The PlayForest Cooperative is a cooperative of sustainable travel businesses designed to benefit local communities and local activists dedicated to the conservation of their forests and to provide genuine community-based natural tourism experiences to the visitors. While PlayForest works as a tour operator to develop tours, the cooperative focuses on promoting local tours managed by local communities or local organizations, as a way to support local communities dedicated to sustainable tourism development but have difficulties to access tourists market due to lack of skills, finance or technology. The Sustainability Programs Department at Walking Mountains Science Center in Avon, Colorado offers educational group trainings and custom coaching opportunities to support businesses, destination managers, and local government staff and officials in understanding and implementing sustainable tourism practices. Walking Mountains provides the GSTC “recognized” Actively Green standard for certification of businesses, and the Mountain IDEAL GSTC “recognized” destination standard for certification of mountain resort communities. Onsite trainings are offered in Vail, Colorado and other locations. Dr. D’Arcy Dornan is is the director of Tourism, Hospitality & Education Solutions. D’Arcy is the Brazil Country Representative for the GSTC, and serves as a Trainer for the GSTC Sustainable Tourism Training Program. D’Arcy completed his Ph.D. at the University of California, Davis, where he specialized in sustainable tourism development. He has taught, published and presented in tourism and hospitality and has been undergraduate/graduate program director at institutions in the U.S. and France. He has worked in the industry and has experience conducting consultancy projects with NGOs, destinations and others in the industry (hotels, trade associations, tour operators, travel agents, etc). He is currently based in Brazil. Jorge Moller started with ecotourism in 1985 in the South of Chile, always aware o bringing an environmental education perspective into a tourism experience. Moller is the owner of Darwin’s Trails Chile, a joint English-Chilean inbound Tour Operator with 20 years of experience providing authentic local experiences and local people contact for clients visiting Chile and Patagonia. Jorge works as a consultant with indigenous communities such as the Mapuches, Likan Antai and Rapa-Nui to provide them tools for sustainable development. As an active member of the Board of the Chilean Tourism Bureau, Moller promotes the country of Chile in a sustainable way so as to include all type of experiences around the multiple Chilean territories. Jorge is also a teacher at the Universidad Catolica and a strategic partner of Fedetur (installing the Sustainable Distiction :S: in Hotels and Tour Operators coming up…). In 2013, Moller participated in the GSTC Early Adopter Program in Chile and had the privilege to represent Chile’s Lake Region at the GSTC AGM in Bonito, Brazil. Jorge was instrumental in the co founding and development of the South American Sustainable Tourism Network (SAST Network), which came into existence after the GSTC AGM and the ESTC in Bonito, Brazil. 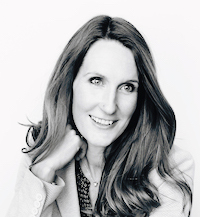 Angela Nagy is the CEO of GreenStep Solutions, a company that has provided sustainability solutions for thousands of small and medium sized enterprises across Canada and the US since 2008. 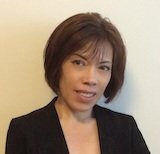 With more than twenty years experience in project management, business development, marketing and public relations, Angela has lived and traveled extensively throughout Europe, the US and Canada, working with all levels of business, non-profits and governments on a variety of sustainability related projects. Angela has been trained by former Vice President and Nobel Laureate, Al Gore, David Suzuki and IPCC scientists to deliver the Climate Reality Project. She is certified in Organizational GHG Accounting through the Greenhouse Gas Management Institute and as a Sustainability Practitioner through The Natural Step. Her experience also includes politics, and Angela has served as an elected official at the municipal and regional government elected on a platform of sustainability. Kathleen Pessolano is Director of Destinations Program and Associate Technical Director for the GSTC. Kathleen is an attorney and international practitioner at the intersection of tourism and sustainable development. She assists destinations with planning, policy, and management systems to develop tourism while protecting the natural and cultural resources. Kathleen especially enjoys working directly with communities to build capacity, devise strategies to broaden community benefits from tourism, and launch public-private governance structures for sustainable destination management. Kathleen is particularly passionate about coastal tourism issues and small island development. In the last decade, she has worked for the GSTC, The Heritas Group, Cultural Heritage Partners PLLC, Sustainable Travel International, and served as an attorney for the U.S. Federal Trade Commission and the law firm O’Melveny & Myers LLP. Before law school, Kathleen helped the Center for International Private Enterprise advance private sector development in Latin America & the Caribbean. Tourism and development expert advisor. She is currently Country Representative in Colombia for the Canadian Organization for Technical Cooperation – Canadian Executive Service Organization CESO-SACO, Country Representative in Colombia and Ecuador for the Global Sustainable Tourism Council – GSTC, and official trainer for the same organization. Natalia is a leader for the development and strengthening of COMUNITUR – the Tourist Community for Development, a network that works hand by hand with communities and initiatives to promote sustainable and responsible development. Natalia has an undergraduate degree in Finance and International Relations from the Externado de Colombia University, and a master’s degree in Environment from the Social Psychology Faculty from Barcelona University, Spain. She has worked in Colombia, Peru, Ecuador and Spain with the private and public sector, local communities and NGOs. She has more than 10 years of experience in tourism, development, and international relations. 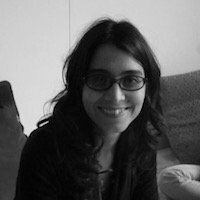 She is a professor at Externado de Colombia University in tourism public policies and analysis of international conjuncture for the Tourism and Hospitality Business Administration Faculty. She has experience in events organization, and training with rural communities; she has also been a lecturer at various national and international conferences. Diana works as a freelance sustainable tourism consultant for various stakeholders, such as the Institut de la Francophonie pour le Développement Durable (IFDD) and the Seychelles Sustainable Tourism Foundation (SSTF) and is a team member of the Berlin based consultancy mascontour GmbH. Diana has a university background in Tourism Management (BA, IMC University of Applied Sciences Krems, Austria & MSc, Skema Business School, France). Having started in the hospitality sector, she joined the Coordination Office of the Global Partnership for Sustainable Tourism at UN Environment, before working as an international consultant on sustainable tourism projects as part of the mascontour GmbH team. 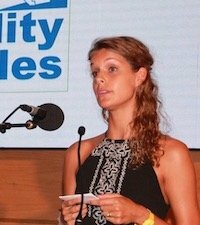 Since 2016 she is based in Seychelles where she co-founded the SSTF, a Seychellois NGO which acts as a connecting platform for tourism stakeholders in Seychelles, facilitating partnerships and joint initiatives for sustainable tourism, pursuing a five-year goal for Seychelles to be certified as a sustainable tourism destination by one of the GSTC-recognised bodies. Diana conducts regular trainings and workshops with a variety of different stakeholders from public and private sector. She considers herself a passionate sustainable tourism advocate and is an active board member of Linking Tourism & Conservation (LT&C). Dr. Anna Spenceley is an independent consultant based in South Africa. She works on sustainable tourism issues for a wide range of international agencies, including the World Bank group, the International Trade Centre, UNWTO, UNEP, UNDP and SNV. Anna’s work includes participatory policy and master plan development, triple bottom line assessments (economic, social, and environmental), tourism certification and indicators, market research, value chain analyses and also training. Anna is Chair of the IUCN World Commission on Protected Areas (WCPA) Tourism and Protected Areas Specialist Group (TAPAS Group), and leads capacity building for the Southern African Development Community’s (SADC) Sustainable Tourism Forum. Anna is on the editorial boards of the International Journal for Sustainable Tourism and Koedoe. Her book publications include “Tourism and Poverty Reduction”, “Responsible Tourism: Critical issues for Conservation and Development” and “Evolution and Innovation in Wildlife Conservation. 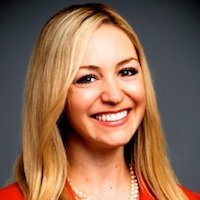 Anna was a founding board member of the GSTC, and currently sits on the GSTC Destination Working Group and acts as GSTC trainer. Dr. Alan Wong received his PhD from the School of Hotel and Tourism Management (SHTM), The Hong Kong Polytechnic University in 2008. He is currently teaching there for undergraduate and postgraduate courses. His main research interest is in leadership in the hospitality and tourism industry with the cross-cultural perspective. He also interested in researching tour guiding and ecotour guiding. 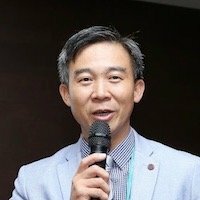 He is an Honor Advisor of Hong Kong Association of Registered Tour Co-ordinators (HARCOT) and he runs different workshops for tour guides in Hong Kong and the Pearl River Delta region. He is also an Hjoeonor Advisor for The Tai Po Environmental Association and Fung Yuen Butterfly Reserve, Hong Kong; a board member of Asian Ecotourism Network (AEN). Lately, he initiated a Service Learning subject in the university, entitled “Ecotourism in rural and developing regions” which provided an excellent opportunity to educate young people on the ecotourism principles as well as helping different local communities. 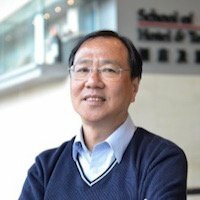 In 2002, Dr. Wong received the first Teaching Excellence Award from SHTM in recognition of his superior classroom teaching and significant contribution to the enhancement of teaching and learning. Alan is committed to contribute in promoting ecotourism through education and training to young people and different stakeholders in the ecotourism context. 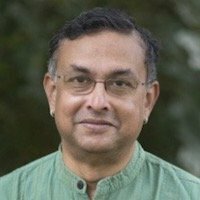 CB Ramkumar (Ram) is an author, speaker, trainer, consultant and an entrepreneur. He is passionate about sustainability and has over the years acquired application knowledge in sustainable living concepts. He developed a model for sustainable living when he built and founded Our Native Village, an eco resort just outside Bangalore, in South India. Over the last decade, he has extended his expertise to sustainable living – including topics such as sustainable food, sustainable health, sustainable marketing and branding. Ram is also a trained Climate Leader after undergoing a training programme by the Former US Vice President and Nobel laureate, Mr. Al Gore. In addition to being a regular guest faculty in colleges across India, Ram is a guest faculty for the Indian Forest Officers training programme for eco tourism for the Jungle Lodges & Resorts in Karnataka and the International Centre for Environmental Audit & Sustainable Development in Jaipur. Originally from France, Ms Catherine Germier-Hamel is the Founder & CEO of Seoul-based business consulting firm Millennium Destinations. She also serves as Global Senior Consultant specialized in smart & sustainable travel, tourism, hospitality, F&B and MICE. For over 25 years, Catherine has gained international experience in marketing, communications, business development, event planning, project design, management, and coordination, as well as capacity-building and training. Mr. YueTak (Derek) Tse is the General Manager of HKTraveler.com Ltd., Hong Kong with its subsidiaries of Eco Travel Ltd and Hong Kong Ecotourism & Travels Professional Training Centre. With over 10 year’s experiences in the field of education and sustainable tourism industry, he specializes in developing sustainable tourism business model, plan and strategy. To contribute to the tourism industry, he is currently the Training Committee Member of Hong Kong Tourism Council and the Recommend Geopark Guide (R2G) of Hong Kong UNESCO Global Geopark. He actively promotes the sense of sustainability, has been the keynote speakers and trainers in the field of sustainable tourism, ecotourism, geotourism and cultural tourism for government authorities and education institutes in Hong Kong, Macau, Taiwan and Mainland China. He holds a Master’s degree of Arts in Cultural and Heritage Tourism; and Postgraduate Diploma in Education, Bachelor’s degree of Arts in Geography from The University of Hong Kong. 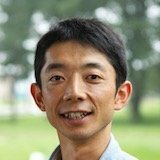 Kazuhiro (Kazu) has been the president of the Hokkaido Adventure Travel Association since 2017, an organization that aims to promote adventure travel and to develop sustainable tourism in Hokkaido, Japan’s northernmost prefecture. 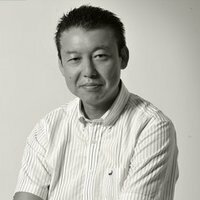 He is also a board member of Ecotourism Japan, the executive officer of the Hokkaido Tourism and Community Development Center, and a board member of the World Indigenous People’s Network AINU (WIN AINU). Through these positions, he supports local community development and conservation through sustainable tourism in Hokkaido. Kazu also founded the Daisetsuzan Nature School in 2001. The school is based in the Daisetsuzan National Park in Japan, and provides environmental education, eco tours, and nature conservation programs. The school has a park management contract with the government, and strives to create a system of “environmentally conscious use”. The concept is of conservation by users, working with the local community towards sustainable park management. Dr. Lewis T.O. Cheung is an Assistant Professor in the Department of Social Sciences of the Education University of Hong Kong. He has received his Master in Geographical Information Systems and Doctor of Philosophy from the University of Hong Kong in 2004 and 2010 respectively. His research interests focus on sustainable tourism with particular emphasis on nature-based tourism in protected areas, environmental education, and environmental conservation. His research papers have been widely published in the top tier international peer-reviewed journals such as Journal of Sustainable Tourism, Professional Geographer, Tourism Geographies, and Environmental Education Research. Lewis has been appointed to be a member of the ecotourism expert group of the Development Bureau, HKSAR to provide advices on sustainable tourism development in the Wolong National Nature Reserve. He has invited by the Development Bureau to prepare the developmental guideline and develop accreditation and certification systems for the sustainable tourism development. 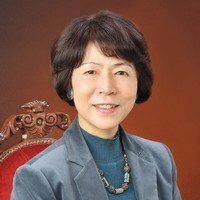 Mami Futagami, Ph.D. is Professor in the Faculty of Foreign Studies at the Meijo University in Japan, where she teaches courses in sustainable tourism, international fieldwork, and cross-cultural studies. She completed her M.A. in Anthropology at Pennsylvania University and Ph.D. in sustainable community development at Kyushu University. She has served on advisory committees of local government for township governance and gender equality. 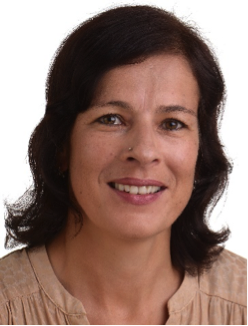 Her research interests include the development of global criteria and indicators monitoring tourism sustainability and the promotion of community-based cultural heritage tourism. Currently she is head researcher for a three-year sustainable tourism project financed by the Grants-in-Aid for Scientific Research. Mr. Masaru Takayama founded Japan Ecolodge Association (ECOLA) in 2006 and Asian Ecotourism Network (AEN) in 2015, to promote nature and community-based sustainable tourism and eco-lodging industry in the region by creating a multi-stakeholder triple-bottom line platform. ECOLA is a Multi-stakeholder Advisory Committee (MAC) member under the 10YFP Sustainable Tourism Programme and developed the Environmentally Sustainable International Standard which is recognized to meet the Global Sustainable Tourism Criteria. He serves on the GSTC election committee. Masary also owns and operates a rural ecotravel agency, Spirit of Japan Travel, registered in Kyoto, and is an owner of a 75-year-old historic building registered under Japanese Culture Agency, Shunyoso, to make the place for a sustainable tourism, lifestyle training and education facility. He serves on a number of key positions in the organizations both home and abroad including Global Ecotourism Network and Ecotourism Japan, and has been appointed by internationally recognized award programs – including Tourism for Tomorrow Awards (World Travel and Tourism Council), World Legacy Awards (National Geographic), and Responsible Tourism Awards (Wild Asia) – to serve on the judging panel. 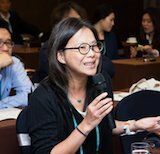 Monique Chen is the co-founder and the previous-chairwoman (2011-2017) of Sustainable Travel Taiwan (STT). Monique is specialist as an urban planner and museum operator, and has been engaged in cultural and environmental preservation work for 20 years. STT’s main objective is to encourage – by action – destinations and tourism industry stakeholders to implement GSTC Criteria by using the tools of certification bodies accredited by GSTC. Early in her career, Monique was the first Chief of Operations & Promotion of the Gold Ecological Park – a gold mining village from the 18th century, where she was able to explore local history with mine workers and local residents, while developing a more sustainable approach to environmental conservation. Monique completed her Master’s Degree in Building and Planning from National Taiwan University. Through her master thesis “Reseeing Bao Tzang Yan – Building Process and Forms of Urban Informal Cultural Landscape in Developing Countries” (1999), she worked with people in historical squatter area in Taipei for 2 years, and joined the protest movement team of anti-demolition of the historical squatter area, helping vulnerable groups to speak out. Now, the squatter area is known “Treasure Hill Taipei Artists Village” and is listed as one of the top tourist spots of Taipei by Lonely Planet. 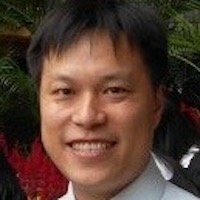 Mr. Fui (Steven) Cheung is the Founder of The Globe Ecotourism Training Centre and the Chief Development Consultant of HKTraveler.com Ltd with its subsidiaries of Hong Kong Ecotravel Ltd and Hong Kong Ecotourism & Travels Professional Training Centre. Steven has been focusing on building a strong corporate infrastructure, with sustainable tourism development as the core mission and corporate values, working with his international team of more than 100 professionals. 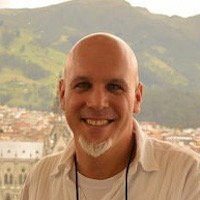 Steven completed his Master’s Degree in education in 2003 from University of Wollongong, Australia, and became a certified trainer for Interpretive Guide by National Association for Interpretation (CIT, NAI) in 2016. Ignacio currently works as the Head of Hotel Training Initiative (HTI), a component of the Vocational Skills Development Program (VSDP) in Myanmar. Ignacio and his team have organised and delivered hospitality training to nearly two thousand people from disadvantaged backgrounds in 2015-16 and nearly three hundred supervisory level staff from partner hotels. 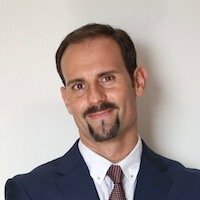 Ignacio brings more than fifteen years of professional experience to the team, acquired in four different continents in both the private and public sectors. His background in tourism management led him to work for high-end international hotels in the Caribbean, the Maldives and Switzerland. Since 2005, Ignacio has gained experience working for a number of international organisations, such as IUCN, UNWTO and UNCTAD. Ignacio is a passionate team leader who thrives on working in multicultural settings. He commits his time and efforts to disseminating sustainable tourism practices and bringing to light both the positive and negative sides of tourism development. Ignacio is multi-lingual and holds a Master Degree and a PhD in Development Studies from the University of Geneva in Switzerland. Ignacio has closely followed the development of Myanmar since 2006. He initially came to the country as a tourist, then as a researcher and he finally settled down in Yangon in 2012 with his family. Tim is the Managing Director of Gamper Smith Associates ltd., a consultancy firm based in Edinburgh specialised in international development cooperation. His main areas of expertise include vocational education and training, market systems development and local economic development in particular related to the sustainable tourism sector. His clients include international development partners, international NGOs, as well as local government authorities whom he advises on how to plan, implement, monitor and evaluate their sustainable tourism initiatives. His most recent tourism and hospitality assignments have brought him to Colombia, Peru, Indonesia, Sri Lanka, Laos, Myanmar and Kyrgyzstan. Prior to settling down in Scotland in 2017, Tim has worked for 7 years with the Swiss Agency for Development and Cooperation (SDC) in Switzerland, Ecuador and Bangladesh and 8 years with Swisscontact, a Swiss-based international NGO specialised in private sector development. As country manager for Swisscontact in Laos, Cambodia and Myanmar Tim managed to build up a portfolio of tourism and hospitality programmes, including for instance in Southern Laos, where he piloted an innovative model for bringing together public, private and civil society stakeholders under a joint tourism destination management umbrella – a model, which has been adopted by the Lao PDR as their main destination management model. Throughout his career, Tim has been active in training and capacity building measures in intercultural settings and is passionate about bringing people from different backgrounds together to create better destinations for people to visit and to live in. Jeppe Klockareson is passionate about travel, nature and sustainability issues and has worked in tourism since 2004, focusing on ecotourism and responsible tourism. He’s held previous positions at Basecamp Explorer Sweden and STA Travel Nordic, as Managing Director and Product Manager and is the owner and founder of Fair Travel. Fair Travel is committed to sustainable tourism and travel principles, offering advisory and consultancy, sales & marketing support, lectures, keynote speaking and project work. He’s been instrumental in developing specialized sustainable tourism training programs for travel trade professionals in cooperation with higher vocational educations in Sweden. He’s a returning teacher and speaker both in Sweden and beyond, on training workshops and capacity building for sustainable tourism development. Jeppe is a current board member of the Swedish Ecotourism Society, and he’s held positions at the Steering Committees of various tourism educations. Jeppe is also the organizer of several sustainable tourism development events and forums in the past. Nicola Koschel serves on the GSTC Accreditation Panel on behalf of WWF. She is an independent tourism consultant based in Germany with a focus on the sustainable development and environmental management of tourism. After graduating from a BBA in Tourism Management and Consultancy (NHTV-NL) she obtained a Master in Sustainable Tourism Management (HNEE-DE). Since 2007 Nicola has worked with and for NGOs, specialist researchers, federal ministries, the German Development Cooperation, the European Commission as well as by order of renowned consultancy firms. Her work portfolio involves product and destination development, feasibility studies, project evaluation, consumer market research, design of appropriate marketing strategies and the organization of study trips, tourism awards, and conferences. She is also a member of GSTC’s International Standards Working Group. 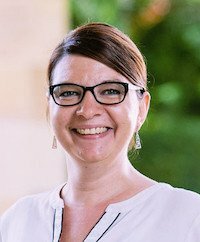 Dr. Sabine Müller is Lecturer and Project Manager at the Institute of Tourism at Lucerne University of Applied Sciences and Arts in Switzerland. Her main areas of expertise include: community based tourism, destination competitiveness and sustainable tourism development. 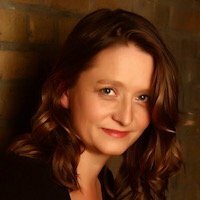 Sabine is involved in teaching and leading consulting projects in a variety of topics with tourism businesses and political institutions. Prior to her work at the Institute of Tourism in Lucerne, Sabine has worked for the German Development Cooperation in Asia. Her work included sustainable product and destination development, strategy development, implementation of tourism standards. She advised capacity building measures regarding sustainable tourism and designed training programs based on stakeholder requests and needs. During her international assignments, Sabine has organized and facilitated several tourism study trips and fairs. During her international assignments, Sabine has organized and facilitated several tourism study trips and fairs. 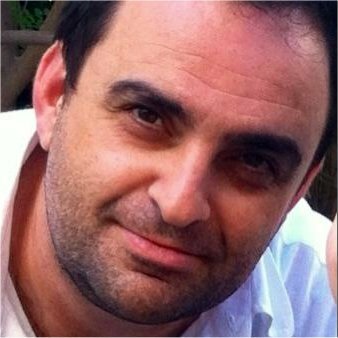 Dr. Ioannis Pappas is the Greece Country Representative for the GSTC, and serves as a Trainer for the GSTC Sustainable Tourism Training Program. In addition, he is Approved Auditor for Hotels and Accommodations for Travelife, and Certified Auditor for Green Globe. He is an experienced professional engineer, with over 25 years of work focusing on sustainable tourism, energy and environmental efficiency, auditing or advising in standardization of companies and technological implementation of climate adaptation and mitigation methodologies. He is active in auditing, consulting and training on all matters of interest to the tourism sector, as Sustainable Tourism Manager by Jean Monnet European Centre of Excellence and PM4SD, Auditor for Stars Evaluation of Hotels and Vilas in Greece, Accredited Trainer of Passive House Standard, Accredited Verifier of Airports GHG and European Energy Manager. He also has extensive experience on Project Management as Coordinator and/or Manager in more than 20 National & EU Research Projects, as Certified Auditor of ISO 9001 and 14001 Systems, and as Trained Consultant of ISO 50001 Systems. Dr. Pappas is a Co-Founder and CEO of GREEN EVOLUTION, a unique Advising Company in Environment, Energy & Carbon Finance in Greece, and has been an active participant member of various international working groups (UNFCCC, CITL, ITL, CEN, TAIEX). He has a Diploma in Mechanical and Aeronautical Engineering, a PhD in Mechanical Engineering and a Post-Doc in Applied Mechanics in Energy Applications. 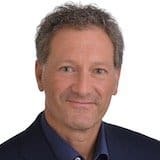 Urs Wagenseil is Professor and Head of the Tourism Competence Centre of the Institute of Tourism at Lucerne University of Applied Sciences and Arts in Switzerland. His areas of expertise include: destination management, tourism strategies; tourism and sustainable development; tourism business and entrepreneurship. 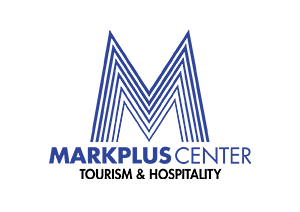 Urs serves on the board of TourCert (sustainability certification for tourism businesses and destinations), and is a current member of the GSTC Destinations Working Group. Since 2005, Urs has been working at the Institute of Tourism at Lucerne University of Applied Sciences and Arts, teaching as a Professor and leading applied research projects, as well as leading consulting projects with tourism businesses, NGOs, political institutions and other Universities in Switzerland and other countries around the world. Before working in the academic sphere, Urs acted as a Destination Manager in Lenzerheide, a good 1.1 million overnights all-year-destination in the Swiss Alps. Urs also has industry experience managing incoming and outgoing tourism (e.g. working with Kuoni), and focuses on the following key topics: destination management, tourism strategies, tourism and sustainable development, tourism business entrepreneurship & start-ups and tour operating. 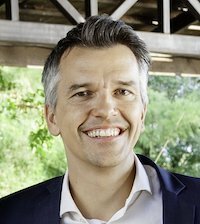 In addition to his mail roles, Urs serves as a visiting professor in several other countries, and is a Board Member for TourCert, a sustainability certification for tourism businesses and destinations. Dr. Cherise Addinsall is a Research Fellow at Southern Cross University, working on research and development projects in the South Pacific. Her research interests are in sustainable livelihoods and well-being, with a particular focus on enhancing benefits from tourism to host countries through sustainable tourism. 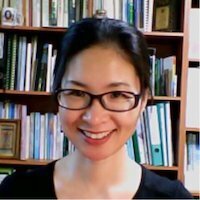 She has worked on a number of international research projects through the Food and Agriculture Organisation of the United Nations, Critical Ecosystem Partnership Fund, Australian Centre for International Agricultural Research, International Union for Conservation of Nature and the Secretariat of the Pacific Regional Environment Programme. 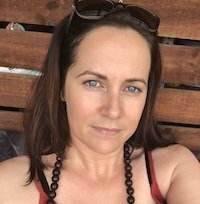 She has also published a number of articles and book chapters and recently supported the Vanuatu Government (through her company ‘Sustainable Island States’) to develop their Vanuatu Sustainable Tourism Policy (2018-2030). Previously she served as the Training and Corporate Project Manager at EarthCheck, the world’s leading scientific certification and advisory group for travel and tourism, as well as managing the EarthCheck Training Academy. Training development and delivery, speaking engagements and workshop facilitation has always been an integral part of her journey, including on-the-job training of new staff, facilitating climate change workshops, speaking at industry conventions and delivering training courses online or face-to-face. . She is a Certified Asia Pacific Visitor Economy Expert through the Pacific Asia Tourism Association (PATA). In 2008, Steve was honoured with the inaugural Ecotourism Australia Medal, recognizing his active engagement in the Australian and international ecotourism industry. He was the lead Asia Pacific representative in the development of the Global Sustainable Tourism Council, serving on the GSTC Board, the Education & Training Working Group, the Election Committee, the GSCT Trainers Selection Committee and as a senior GSTC Trainer. He has also been an active participant on the UNWTO Panel of Tourism Experts and the World Committee on Tourism Ethics, contributing to a number of UNWTO projects in Asia and East Africa. He the past two decades, has served as an Adjunct/Visiting Professor in Sustainable Tourism, at Universities in Australia, Norway and Finland. Nowadays, he is an Adjunct Research Fellow at the Griffith Institute for Tourism, Griffith University, Australia, and teaches the full semester Sustainable Tourism & Indigenous Cultures, subject at Bond University, Gold Coast, Australia.